Everyone is looking forward to awesome TV shows of Eurovision Song Contest 2017 which will take place on May 9, 11 and 13 on the main stage in International Exhibition Center. 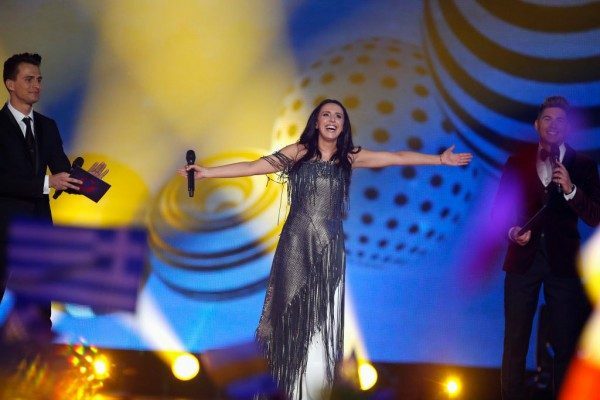 Organizers prepared many surprises for the audience: Jamala will sing twice in semifinals, and premiere a new song in the Grand Final. “The idea of Eurovision Song Contest 2017 is to show diversity of Ukraine – the country with rich traditions and modern development,” said Christer Bjorkman, show producer of Eurovision Song Contest 2017. “Each year organizers create unique artistic concept of the show. First semifinal opening in Ukraine will start with a video showing beauty and singularity of Ukrainian folk costume. To add to the diversity concept, we invited a modern multi–artist МONATIК. Jamala will be the first semifinal headliner. The concept of Eurovision opening changes every year. Sometimes these are the previous year winners who open the show, and this year, the same as in Denmark and Azerbaijan, those will be other talented artists”. Today, on May 9, the famous singer will perform a symphonic cover of 1944 song onstage in International Exhibition Center. The song was written for Eurovision show, and it won in 2016. The singer will also perform a song Zamanyly which was written in cooperation with Ethno-Chaos band DakhaBrakha. “We are infinitely grateful to Jamala for her victory in Eurovision in Sweden and for bringing this festival to Ukraine. For this very reason, it is the first time in Eurovision history that the previous year winner will perform three songs: two in May 9 semifinals and one in May 13 Grand Final. One of Jamala’s songs coincides with commercial break, so the audience of the countries where broadcasting is interrupted with a commercial break will not see this song. Nevertheless, it’s a usual practice regulated by a broadcaster in every country independently. Unfortunately, it’s only this morning, around 10 o’clock that I received a request from Jamala’s producer, Ihor Tarnopolskyi, to move Jamala’s performance from the commercial break to the beginning of the show, instead of Monatik’s appearance. It cannot be done anymore today due to technical and production reasons. Final scripts were sent to all broadcasters and announcers as early as on May 5, and any significant changes made five hours before the final rehearsal, 12 hours before tens of millions of viewers will see the show on air all over the world, will threaten the very Eurovision semifinals show. However, we agreed that we will keep in touch with Jamala’s producer, Ihor Tarnopolskyi regarding any issues,” said Eurovision 2017 executive producer Pavlo Hrytsak. World premiere of Eurovision 2016 winner, Ukrainian singer Jamala’s song will take place in the Grand Final. She will perform her new song I Believe in U. Artists from Jamala’s team of Holos Krainy (The Voice) talent show – Anna Kuksa, Naile Ibrahimova and Kemi Oke – will also participate in the performance. Eurovision International Song Contest 2017 takes place in Ukraine in International Exhibition Center. The first semifinals will happen today, on May 9, and the second semifinals and the Grand Final are scheduled for May 11 and 13 correspondingly.